Today we’re going to look at “private health insurance exchanges.” This has been one of the biggest “buzz phrases” in the health insurance industry over the past couple of years for a number of different reasons. The biggest reason though, is healthcare reform. With the implementation of new provisions required in the Affordable Care Act, the way that employers offer health insurance to their employees is changing. We’ll take a look at the structure of private health insurance exchanges. We’ll also describe the different components that make-up a private health insurance exchange, the types of businesses that should be taking the closest look at these exchanges, how private exchanges work, and why they’re growing in importance. Technology and software: software programs help facilitate administration of private health insurance exchanges. Technology keeps private exchange administration simple for both the employer and the employee. One example is www.liazon.com. Liazon’s platform allows an employer to define a contribution (much like an allowance), and then employees select their own health benefits. Simply, it’s an employee’s money to spend how he/she wants. The software keeps track of funds spent, shows the employee what kind of health insurance options are available in the private exchange, and allows employees to select the plans they want. Question: Why are private health insurance exchanges becoming more important? Businesses with +50 full time equivalent employees are mandated to provide coverage. A private exchange is a cost-effective and budgetable way for employers in the “large group” category to provide coverage. You decide on the amount (called a “defined contribution”), and then give that amount to each employee. They pick the plan they want. Simple. Efficiency. If employees are making their own decisions and picking their own plans, the whole system becomes more efficient. Instead of you telling them what they get, they instead pick what they want. When consumers are making their own decisions, they’re more conscience about where money is being spent. As mentioned, private exchanges can be an exceptionally important concept for those businesses in the +50 employee range. They accomplish three very important things: budgetability, selection, and flexibility. Those qualities will be very significant to businesses that are mandated to provide coverage. However, this same concept can work very well for smaller businesses too (in the 2-100 employee range). With the on-set of healthcare reform, the landscape in the individual health insurance marketplace has changed dramatically. In this article, we’ll describe what you need to know in order to navigate the new individual segment of the health insurance industry. Before we get to the good stuff, let’s review a very short background about the differences between individual health insurance and group health insurance. Briefly: if you know anything about the health insurance industry at all, you’ll know that these are two completely different ballgames when it comes to plan design. There are different rules. There are different tax incentives. There are different eligibility criteria. The list goes on. That’s a whole different article. As an individual or business owner, you’ll want to know the ins-and-outs of both the individual and group health insurance marketplaces… but let’s emphasize that we’re looking at the individual segment only in this article. For certain small business owners, that’ll be most important anyways. This is probably the biggest “game-changer” of them all. For years-upon-years, if you were going to apply for an individual health insurance plan, you had to go through a series of health-related questions in order to apply for coverage. There were 50, 60, and sometimes 70 or more questions. If you’ve applied for individual health insurance coverage before 2014, you know what this all about. Starting in 2014, these health-related questions are all gone. You heard that right: outta’ here. It’s still difficult for many to comprehend. There are no more health-related questions on individual health insurance applications anymore. This is what is called “guaranteed issue” in the insurance world (big insurance word). All “guaranteed issue” means, is that if you apply for coverage, you have got to be accepted. Q: How does this change the ballgame? A: You don’t need to have access to a group health insurance plan (employer plan) anymore to apply for coverage. This is huge (especially for those with preexisting conditions). It can’t be emphasized enough how much this has freed-up individual choice in health insurance plans. You can literally pick any individual insurance plan from any company, and apply for coverage now. And it gets better for some of you: if you’re eligible for subsides at the new health insurance marketplaces (exchanges), you could see some massive subsidies that will help you pay for your premiums. This all sounds fine and dandy, right? It is. But there are some important rules that need to be understood, and that leads us into our next important topics. Q: What’s an open enrollment period? A: It’s a time-frame when you can apply for health insurance coverage. If you’ve ever worked for an employer that has a company health insurance plan, you’ll know that you’ve usually got to apply for coverage (and make changes) during yearly enrollment. This is that exact same concept in the new individual health insurance marketplace. Except it’s a BIG enrollment: it’s the entire United States. So, that being said, you’ve now got to apply during individual insurance open enrollment each year. This can be very important, because if you miss this enrollment period, you don’t get an opportunity to apply until the next Fall (unless you qualify for “special enrollment”… which we’ll cover soon). Need an appendectomy in the middle of the year? It’s too late. The moral of the story: you want to make sure you know exactly when you can enroll in an individual health insurance plan: that’s during open enrollment each year. It’s a much different concept. And it’s important to note that open enrollment dates are the same for individual health insurance plans both on and off the new exchanges. Now that you know what open enrollment is all about, the next thing that needs to be looked at is what is called a “special enrollment period.” A “special enrollment” is a time to enroll in the middle of the year (outside of the regular open enrollment described above), under specific circumstances. Q: What are these “special enrollment” circumstances? A: They’re described as “life events” that can take place throughout the middle of the year. If you incur one of these “life events,” you’ll then be eligible to enroll in an individual health insurance plan outside of the regular open enrollment period. This is called a special enrollment. You lose your coverage (changing jobs, etc). You move out of the state where you currently get your health insurance. You become a legal citizen or national. You’ll want to make sure that you understand these qualifying “life events” if you ever need to utilize the “special enrollment period.” Additionally important: most events give you 60 days to enroll in a new plan from the time the “life event” takes place. However, a few of these events only give you 30 days. Make sure you know which event applies to you, and how much time you have. “Shared responsibility” is a technical term that has been coined in the healthcare reform law. All it means is that everybody has got to be “in” in order to make these new reforms work: the federal government, state governments, employers, and individuals. The “shared responsibility” provision applies to most individuals (there are a few exceptions) of all ages, including children. Almost everybody has got to have a health insurance plan from somewhere. “Minimum essential coverage” is the type of coverage that you have got to have in place in order to satisfy the requirements of the Affordable Care Act (healthcare reform). In other words, there is a standard of coverage that has to be met in order to meet responsibilities required under the Act. If you don’t want to pay the tax penalties, you’ve got to have this “minimum essential coverage.” There are health plans that are called “limited benefit plans” that do not meet the criteria of “minimum essential coverage.” In an instance where you only have a “limited benefit plan” in place, you’d be paying premiums for this plan that doesn’t conform, and then would also end up having to pay the tax penalty. Additionally, if you’re one of those people that saw your rates go up in your individual health insurance plan over the past year (or even saw it cancelled), this is one of the reasons why. They’ve “raised the bar” on the required benefits in health plans (for additional info, read about the “metallic levels of coverage“). For this reason, rates have gone up. If you’re a higher earner that is not receiving a subsidy at a health insurance exchange, this can be burdensome. Trips to the emergency room. Treatment for inpatient care in a hospital. Care before and after your baby is born. Services to help you recover if you’re injured or disabled: physical therapy, etc. Preventive services like counseling, vaccines, and screenings. Pediatric services which includes dental care. That’s it. Those are the basics of the new individual insurance marketplace. 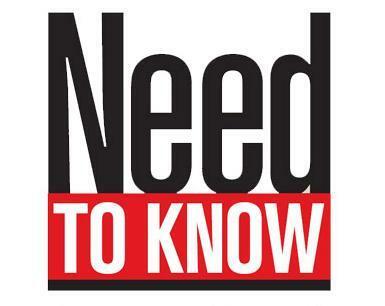 These are all of the “need-to-knows” so that you can begin to navigate this segment of the health insurance industry. Additionally, you can coordinate various strategies within the new individual marketplace, so that you can put together a health benefits program for your small business that is affordable, and that your employees will appreciate. When you’re living or travelling abroad, health insurance is not usually the first thing on your mind… but it can be a very important. If you ever need medical services while you’re in another country, you may end up paying for these services out-of-pocket if you’re not insured. That’s where a international, travel, and expat health insurance plan can come in handy. Attain peace-of-mind when obtaining a policy with some of the world’s biggest international insurers. Have access to global networks of over 1 million quality hospitals, physicians, clinics, and health specialists. Custom-tailor a plan that fits you or your family best. Get top-quality 24/7 customer service while you’re abroad. 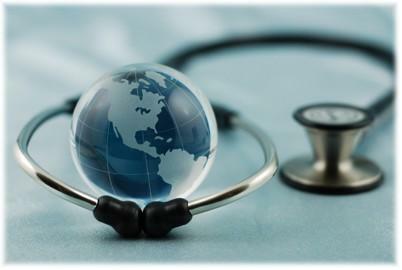 Q: What is international, travel, and expat health insurance? A: It’s health insurance when you’re traveling, working, or living abroad. It’s designed to give you and your family peace-of-mind and access to high-quality healthcare wherever you are in the world. Q: Why would I need international health insurance? A: In most cases, if you’re a foreign national in another country, there is a pretty good chance that you and your family won’t have access to the national health program where you’re currently residing. Additionally, healthcare services vary widely across the globe, so the standard of care that you are accustomed to receiving at home may be significantly different than what you are used to. Q: How does coverage work when it comes to international health insurance? A: International, travel, and expat health insurance plans are flexible to your needs. A plan can be designed to fit your coverage necessities and budget. Core benefits include things like: inpatient hospitalizations, surgeries, and other hospital or physician services. Additional benefit options can be added like: doctor visits, prescription drugs, and even cancer treatments. Cigna Global and Anthem GeoBlue are two of the most reputable international, travel, and expat health insurers in today’s market. Both have global hospital/physician networks and strong customer reviews; these companies can add peace of mind to your stay abroad. Policy Advantage Insurance Services partners with both companies. If you’re planning a trip overseas (long-term or short), or are going to be working or studying abroad, contact us today for a quote. Prices can vary based on where you’ll be in the world, but we’ll be sure to help you find the plan that fits you best, at the best price. Recently, Covered California announced an enrollment extension for people that are on COBRA in California. If you’re currently enrolled in COBRA, you may already understand the costs associated with this type of coverage: it can be expensive. This enrollment extension could save you some BIG bucks. We’re not going to explain COBRA in this post, we’re just going to explain how this recent enrollment extension works. If you’re currently on COBRA, you most likely already know what COBRA is all about. Below the icon is some important info. If you’re on COBRA, you’ll want to know about all of this. *NOTE: Keeping it simple, if you’re currently on COBRA, talk to us so we can help you sort it out. This enrollment extension runs from May 15th, 2014 to July 15th, 2014. If you’re currently on COBRA, you still have the opportunity to enroll in an individual or Covered California (exchange plan), as long as you do it between the above-listed dates. This may save you some BIG MONEY, because COBRA extension coverage from your previous employer is expensive: you pay up to 102% of total premiums (your part + employer part + admin fees). During this time, enrollment is open so you can switch from COBRA to an individual or Covered California exchange plan (either of which may be considerably less expensive than your current COBRA coverage). Am I eligible for subsidies on the Covered California exchange? If this is a “Yes” you may really want to look into switching over to an exchange plan from COBRA. If I’m not eligible for subsidies at Covered California, would switching to a regular individual plan save me money? Even if you’re not eligible for subsides on the exchange, the individual coverage you can find might be considerably more affordable than your current COBRA coverage. If you’re on COBRA currently, contact us so we can help evaluate your case. You could save some big money (thousands of dollars a year) by making a simple switch. Here is our CONTACT CARD. And you can call direct here: 424.442.0170. We’ve recently created a blog segment called “#Advantage” where we’ll answer the questions that we get at Twitter. 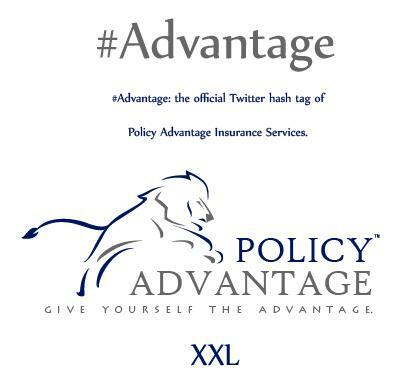 Our official Twitter hash-tag is #Advantage, and we’ll explain this in further detail in a future blog post. For now, you can find additional information at www.twitter.com/advantage (or @advantage). “CA Medicare Assist” (@MedicareInCa) mentions that this is the #1 question they’re asked. And… it’s a good one. Check out the answer below the tag. How are these health plans made cheaper? Plans are made cheaper via “Advanced Premium Tax Credits” at public health insurance exchanges like Covered California. APTCs are commonly known as the “subsidies” that you hear so much about. These subsidies are applied to individual health insurance premiums to make them more affordable. Who are these health plans made cheaper for? Health plans are made cheaper for individuals and families that fall between approximately 100% and 400% of FPL (or Federal Poverty Level). For individuals, this is about $11,000 to $45,000 per year in gross income. 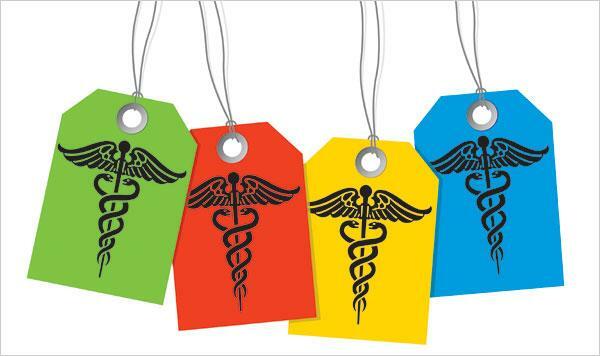 Are health plans made cheaper for everyone? Nope. In fact, for many of those who fall outside of 100% to 400% of FPL (or individuals making more than about $45,000 per year), health plans can actually get more expensive in a lot of cases. How are the subsidies that make these plans “cheaper” funded? These new subsidies are funded from a variety of different sources, mostly in the form of taxes. Here are a few of them: A) increasing the Medicare tax on high-income households, B) taxing high-cost medical plans, C) penalties for those who don’t get coverage, D) employers paying if they don’t provide coverage, E) new fees on the health industry, and certain others. Today’s blog post is a “fun” blog post. We’ll do this every once in a while. Instead of talking about insurance and employee benefits, we’ve got some news to share (ie: some “insider” info about our brokerage). We like to keep you up-to-date about what’s going on within the business too. If you’ve been following along at Twitter (@PolicyAdvantage) you’ll know there have been some recent tweets about our lion having a name. It’s TRUE: we’ve found a really-really good name for him. It fits our theme well. In fact, he’s even got his own .co that we’ll be developing, where you can visit. We’re still in the very early stages of his development (logos, website, his three dimensional design, etc). So he’s not even really a cub yet. We’re still determining exactly what his role will be. We’ve got a really good idea, but we’re still “fine tuning” things. You’ll find some further information about this undercover project below. Create a fun & interactive consumer engagement environment. 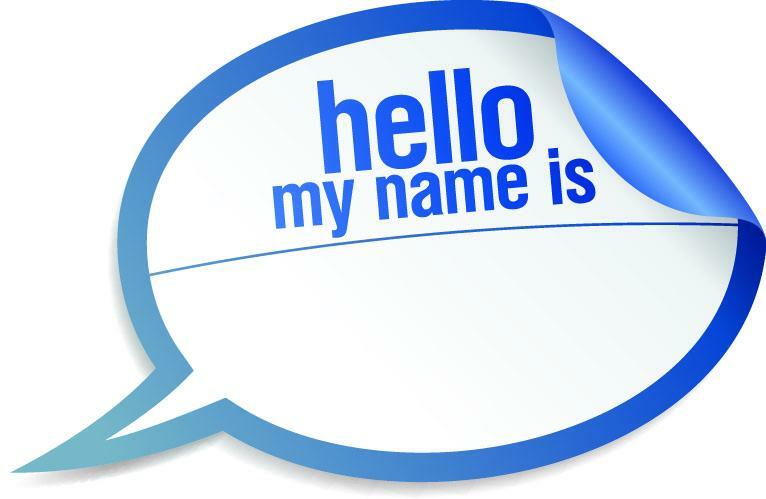 Share important information about the insurance industry. Promote Policy Advantage Insurance Services to the public as our front-line icon. Symbolism of the Lion: courage, wisdom, honor, leadership, loyalty, pride, territorial, generosity, intuition, self-confidence, royalty, dignity, strength, assertiveness, power, justice, authority. Often referred to as the “King of Kings,” white lions are especially rare, and are considered to be divine by many cultures. Question: When will his name be released? Answer: We’re not sure yet. It could be next week, next month, by the end of 2014, or who knows. Keep checking back (OH the suspense). We do know this: our clients will be the first to hear about it.